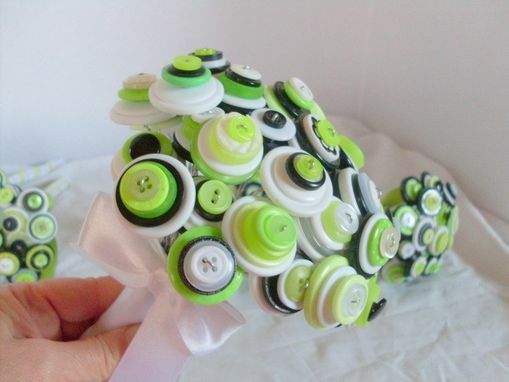 Flowers wilt but button bouquets never will. 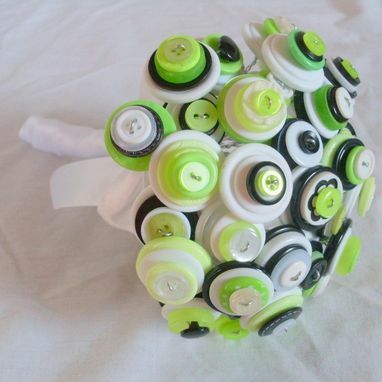 This alternative, non-traditional wedding button bouquet comes in lime green and is accentuated with black and white buttons. I used 40 stems for this bouquet. 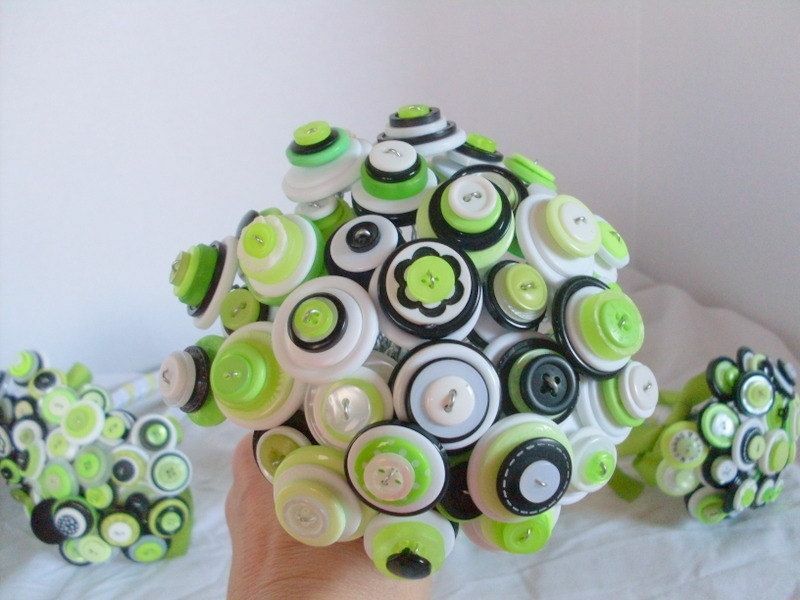 You may also customize its colors to your own liking. 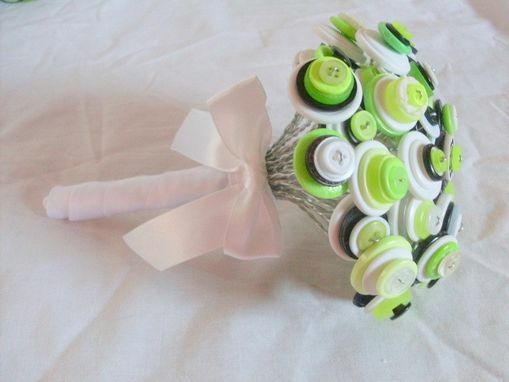 Button bouquets for your bridesmaid and flower girls are also available upon request. 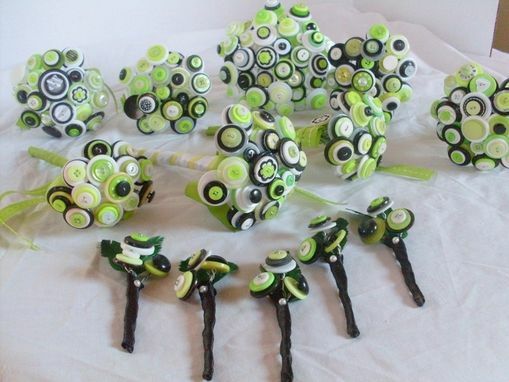 Please contact me for international shipping rates or questions you may have.